Even though certain ages are free, you still need a ticket/wristband which can be retrieved at the ticket office. Groups of 10 or more can contact Tim Haslam for group rates. For the BYU game, groups rates can be purchased through Tuesday, April 17. Anything after that date will be full price at the ticket office. 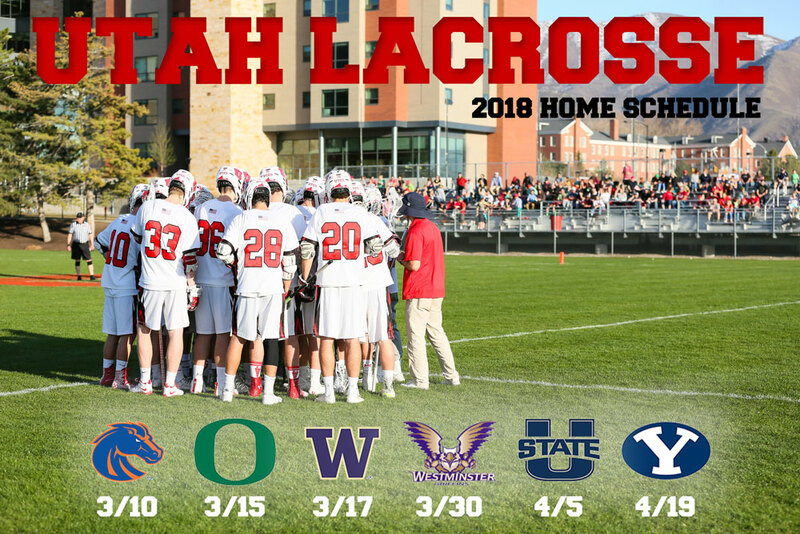 The 2018 University of Utah Men’s lacrosse home schedule features six (6) home games against top quality opponents. To further your fan & giving experience, become a Utah Lacrosse Founder today. Individual game tickets are available for purchase at the ticket office/table at each home game. Bonus B – $5 off one item of merchandise at a Utah home game.